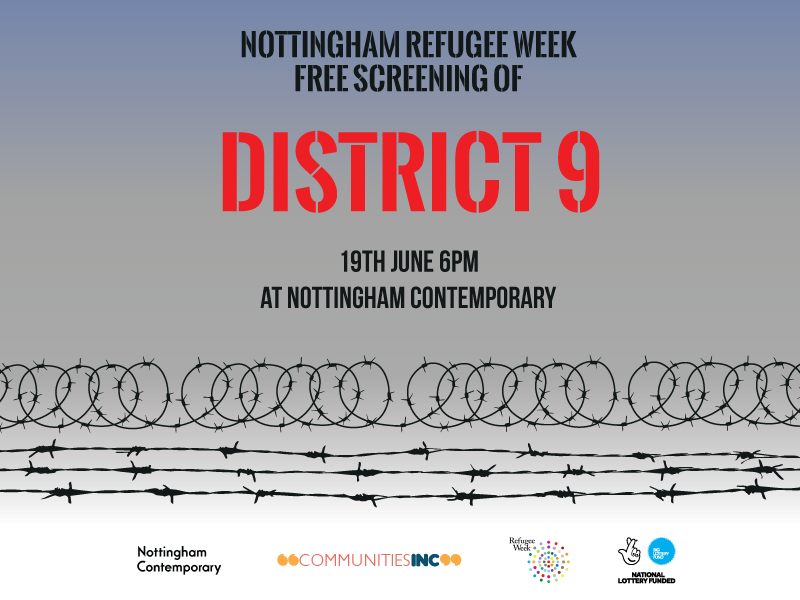 To celebrate Nottingham Refugee Week, we invite you to join us for a free screening of the critically acclaimed film District 9. The movie tells the story of a race of aliens that came to Earth to seek refuge from their dying planet, only to be met by hate and abuse. District 9 is a powerful metaphor for the experience of being displaced and finding refuge in a hostile place, as well as an emotional story about friendship and courage. Join us for a fun quiz based on the film after the screening! Please note that this film is not suitable for anyone under the age of 15. Next Walk the Talk: How to ensure continuous support for the refugees and asylum seekers?